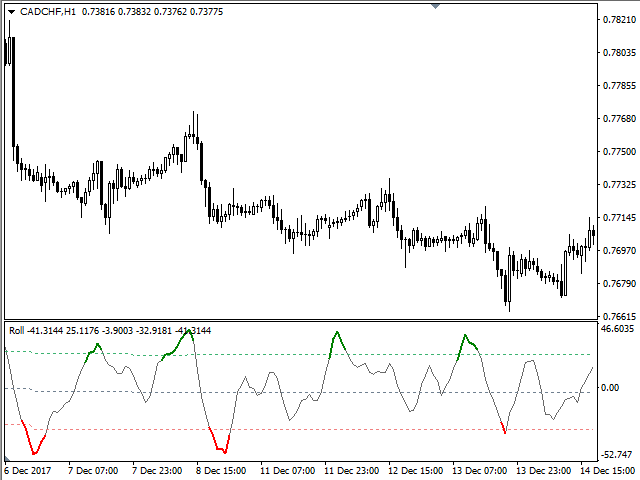 The Roll indicator is designed for finding local extremes and determining the current trend. 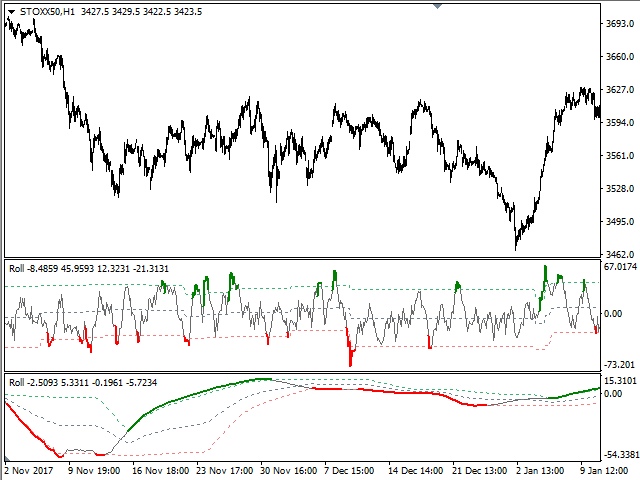 The indicator is based on the volume and volatility values. Indicator calculation can be modified by activating the Modification parameter and choosing one of the available calculation options from CalcMode. 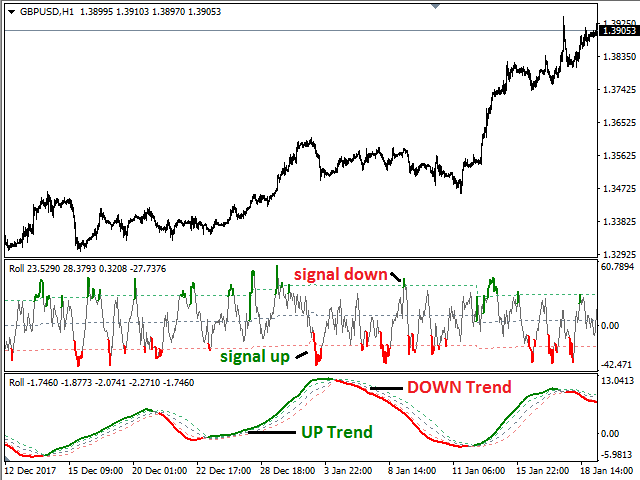 To be able to determine current trend using this indicator, you should increase the value of the OsPeriod parameter and decrease the values of DynamicLevelPeriod and ShiftDynamicLevel. 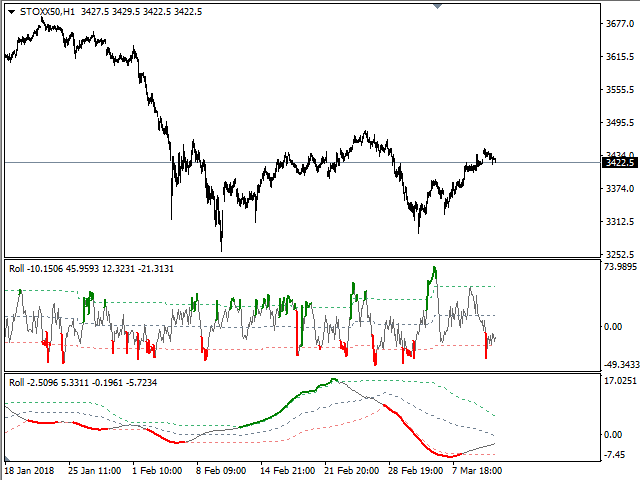 The indicator is suitable for any currency pairs and timeframes. 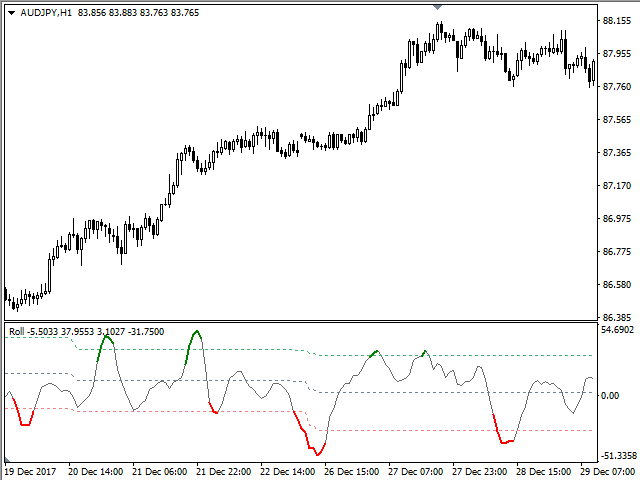 OsPeriod - indicator calculation period. 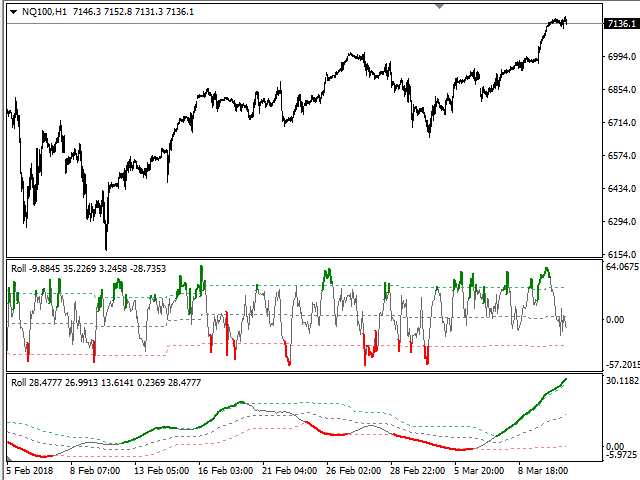 Modification - if true, indicator values can be modified. CalcMode - calculation modification option. DynamicLevelPeriod - period for calculating dynamic levels. ShiftDynamicLevel - shift of dynamic levels. 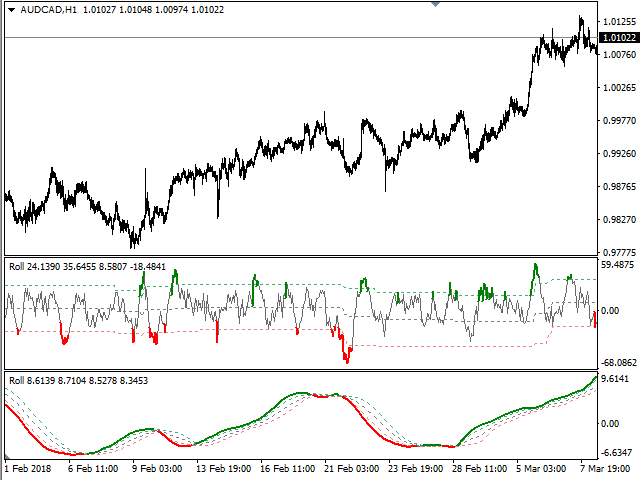 SpeedPeriod - averaging period used in calculations. SpeedModify - modification of averaging used in calculations. Alerts - true enables alerts. AOnCurrent - if false, alerts are generated at the opening of a new bar, if tru alerts appear on the current bar. AMessage - showing a message window. ASound - a sound alert. AEmail - sending an email notification ti the address specified in the Mail tab of terminal settings. ANotificaton - sending push notifications to mobile terminals. soundfile - the name of the sound file.